The Winnebago County Conservation Board's Integrated Roadside Vegetation Management (IRVM) program began in 1990 under Section 314.22 of the Code of Iowa. The program's objectives are to provide the public with safe, low-maintenance roadsides that are visually interesting, ecologically integrated, and useful for many purposes. To meet these objectives the county's IRVM program plants attractive and well-adapted native vegetation in roadsides. 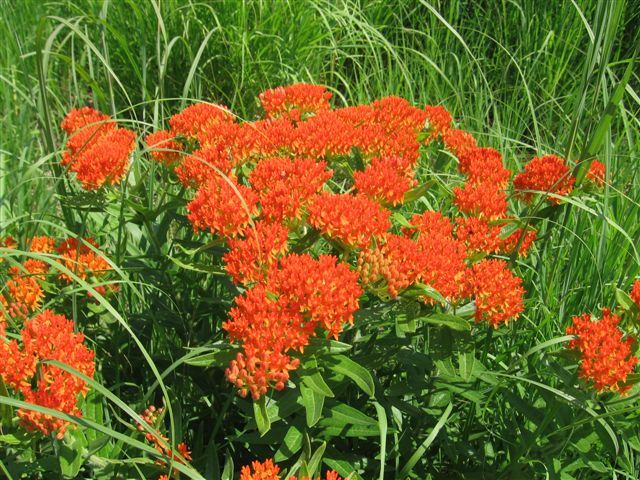 Native vegetation is very competitive and, once established, will out compete unwanted noxious weeds. 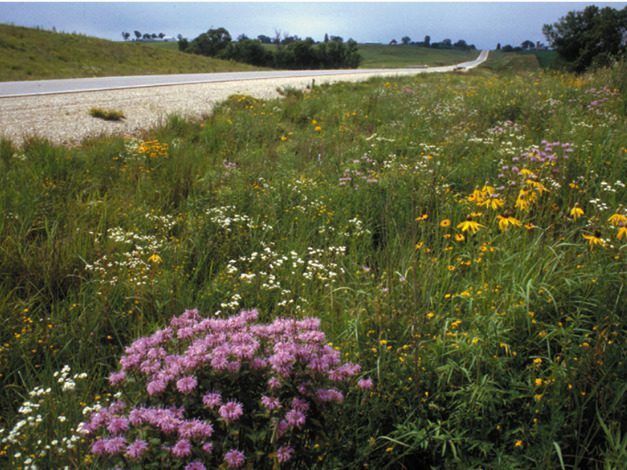 Ultimately, native vegetation planted in the roadsides reduces the need for pesticides, reduces mowing, can reduce flooding, and also provides habitat for various species of wildlife, including pollinators. The IRVM program also utilizes herbicides applied using a technique known as spot spraying, that only targets the noxious weeds. Prescribed fire is another tool that is used to promote and maintain native vegetation and reduce the encroachment of woody plant species in the roadside. Prescribed fire is used only under controlled situations and under strict guidelines. If you do not want spraying conducted along the roadsides adjacent to your land, you can request that those roadsides not be sprayed. To insure that those areas are not sprayed, we require landowners each year to fill out a No Spray Agreement, as well as a section map of the area of concern. Please send these back to the WCCB at 34496 110th Avenue, Forest City, IA, 50436.
check out this guide to Roadside Wildflowers!